The Friends of Brechin Town House Museum hosted an illustrated talk by one of their members on the celebrated Brechiner, Sir Robert Alexander Watson-Watt. The talk coincided with an exhibition about the great man and his work with Radar during World War II and is open until the end of May in the Town House Museum in Brechin. It was almost standing room only with a very well attended talk with several individuals travelling from Dundee and Aberdeen to attend the talk. One was Emeritus Professor Brian Makin who was the last person to hold the Watson-Watt Chair of Electrical Engineering at Dundee University. Also in attendance was Robin Bowden son of Lord Vivian Bowden of Chesterfield who had worked with Watson-Watt during the war and also joined him in Canada as a partner in his consultancy. Members of the Watson-Watt Society and Friends of the Town House Museum were also out in numbers to hear the talk. 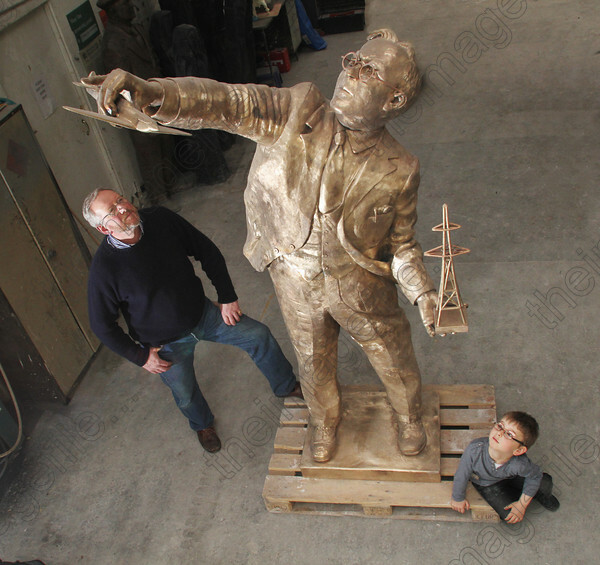 It was emphasised that the talk was not a history lesson or an explanation of radar but the life story of a Brechin ‘Lad o’Pairts’ who left his home town and became the central figure in the development of radar during World War II. Born in Union Street, which is still a dwelling house, his education was completed at Damacre and Maisondeu schools before leaving Brechin for Dundee to complete his university education. It was Watson-Watts 1935 memorandum about the possible use of radio waves to detect incoming,aircraft before they were seen or heard that alerted the authorities to a scientific development that could prove invaluable in any future conflict. In four short years Watson-Watt led a dedicated and talented team who were able to deploy a radar screen around the British coast that was a vital factor in the 1940 Battle of Britain and prevented the planned invasion of Britain, Operation Sealion, to be postponed. He was knighted in 1942 for his work and granted the freedom of the burgh by Brechin 1944 and married three times with no children. 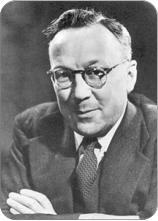 He lived and worked in Canada and America at the end of the war and remained there for several years. He returned in later life and spent his time between Pitlochry and London and was an active campaigner for the anti-nuclear movement in the 1960’s. Sir Robert died in 1973 in Glenfeshie near Aviemore and is buried in Pitlochry with his wife, Dame Katherine Trefusis-Fiorbes who pre-deceased him. One aspect of the talk focused on the oft quoted family link with James Watt the steam engineer. Research had been carried out on both families and no link had been established suggesting that the link is anecdotal and without any hard evidence to link both great Scots. An update on the statue work in St Ninians Square was also provided with the foundation work completed and stonework underway. It is anticipated that the statue will be on site in May which will represent Brechin’s first ever statue.